Cañada College Chemistry Professor Robert Tricca was recently recognized by Santa Clara Valley American Chemical Society (ACS-SCV) with a Community College Teacher Scholar (CCTS) Award. The award recognizes the contributions of a community college chemistry teacher to science education. Tricca was chosen from one of the 13 community colleges in the ACS-SCV local area that includes five counties around San Jose, CA. Professor Tricca received his Bachelor of Science in Chemistry from Boston College in 1980 and his Doctor of Philosophy in Physical Chemistry from Tufts University in 1985. He started his professional career in the chemical industry where he spent asignificant number of years. He has held positions at Pfizer, Oral B/Gillette, Align Technology and Oral Health Technologiesranging from bench work to upper administration and co-founder. In 2008, Tricca decided to pursue his passion for teaching.His teaching career started as an adjunct faculty at Diablo Valley College, Laney College and Cañada College. His commitment and aptitude for the job were unquestionable and only two years later, Professor Tricca assumed his current fulltime position at Cañada College. In a short period of time, Tricca has contributed to the advancement of chemical education by updating the general chemistry laboratory experiments to reflect modern relevant bench skills; establishing an ongoingundergraduate student research environment in collaboration with the National Resources Conservation Service and has continuously promoted students success by mentoring and exposing them to professional organizations and professional networking opportunities. 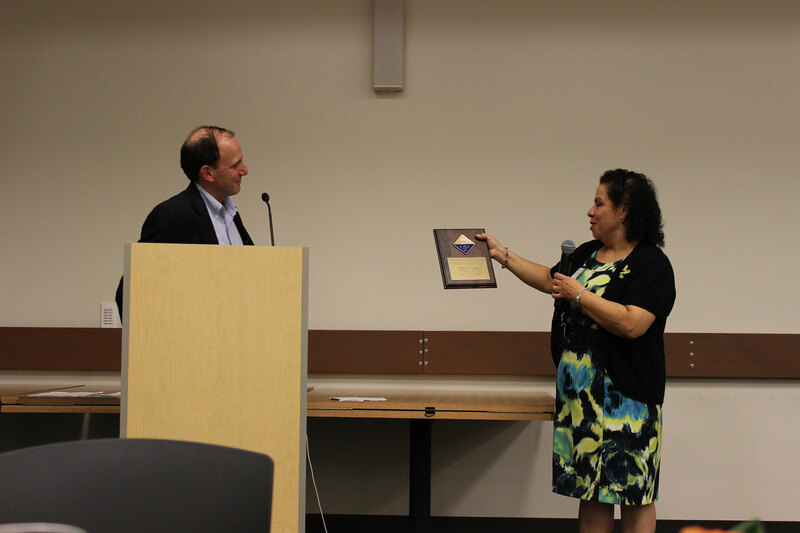 The sixth annual Teacher Scholar Award was presented to Professor Tricca at Mission College in Santa Clara. 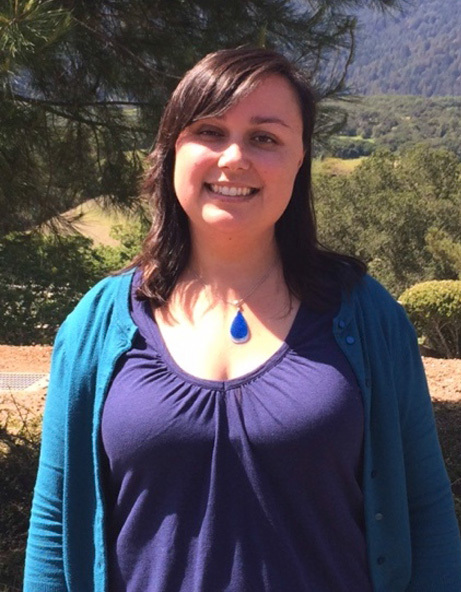 Tricca was nominated by his fellow Chemistry Professor Jeanette Medina. His nomination was reviewed by a separate selection committee. The award includes a $500 stipend for the award recipient, a plaque and additional $500 for the award recipient’s department. Each year, the League for Innovation in the Community College allows member colleges to nominate faculty and staff for the John and Suanne Roeuche Innovation Award. This year, college faculty and staff were invited to join in the process by nominating their colleagues. Members of the President's Cabinet and the Presidents of the Academic and Classified Senates met to review the nominations and select awardees. This year's awards are being presented to Professors Cathy Lipe and Leonor Cabrera. 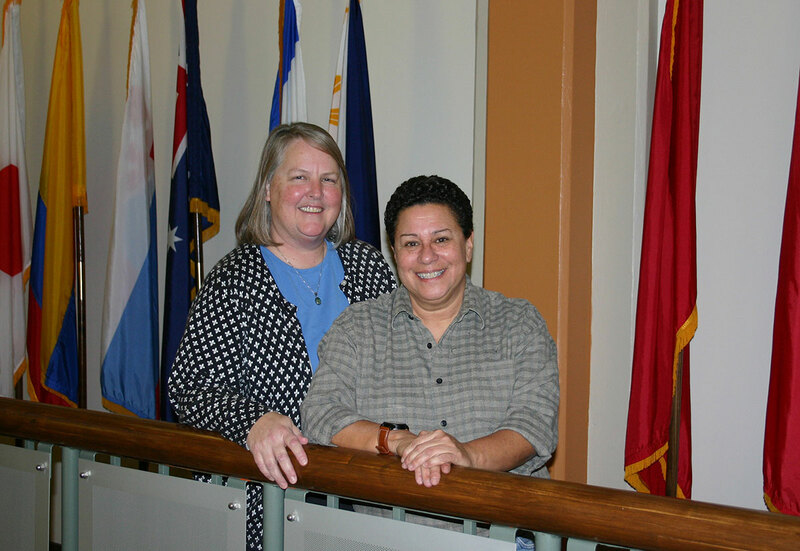 In their nominations, their colleagues noted that Leonor and Cathy both brought a unique and innovative energy to their efforts and provided students with exceptional learning opportunities. They were both recognized for their unique approaches that have led to unparalleled success among STEM and Accounting program students. Cathy and Leonor have been invited to receive their awards at the League for Innovation annual conference this spring in Boston, Massachusetts. Maria Huning, from Cañada’s Upward Bound program, is this year’srecipient of the Jobs for Youth Mary Paskevich Memorial Award. The Jobsfor Youth program provides career workshops and job training to youngpeople in San Mateo County. Mary Paskevich worked with Jobs for Youthfor almost 20 years. The Mary Paskevich Memorial Award is given every year to a person whohas supported youth in achieving a better life. This year’s recipient, MariaHuning, has empowered young people in San Mateo County to envision theirfutures and their communities improved through higher education. Maria hassupported students from communities that are often times overlooked-NorthFair Oaks, East Palo Alto, and Half Moon Bay. She has served as theProgram Coordinator for TRIO Upward Bound for over 10 years preparingthe next generation of college bound students and advocating for equity andaccess in higher education. Being recognized for her work and receiving this award is a wonderful way to celebrate her 11-yearanniversary at Cañada College. Maria will be recognized alongside four Cañada College Upward Boundstudents. Edgar Aguirre, Jennifer Castro, Jennifer Cuevas, and Lluvia Garnica will all be awardedscholarships for their civic engagement in Redwood City. All of these students share with Maria their passion for helping young people in the community. Cañada College and TRIO will be well represented at the Jobs for Youth Breakfast on May 28 in Foster City. 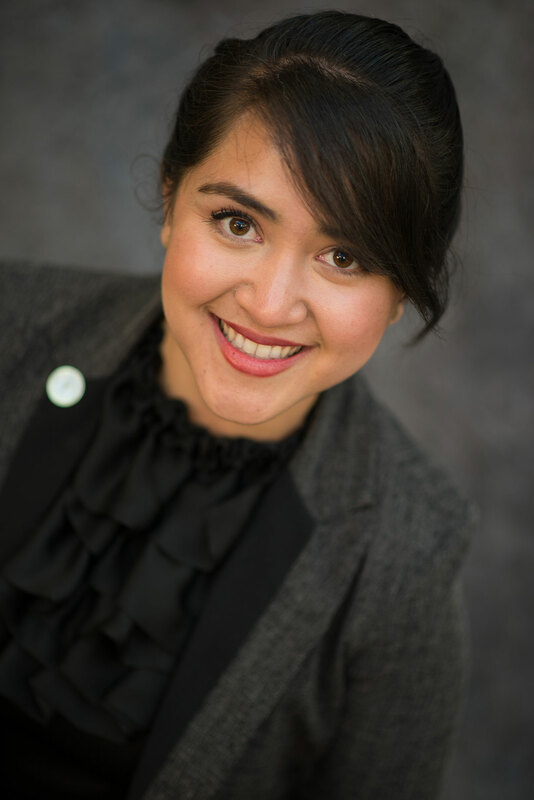 On May 2, after a statewide vote, Michiko “Misha” Maggi, Cañada’s Student Life and Leadership Manager,won the election to serve as the President for the California Community College Student AffairsAssociation (CCCSAA). CCCSAA was established over 60 years ago as an organization to help StudentAffairs Professionals at the 112 Community Colleges across California with advocacy work, studentdevelopment, and professional support and advancement. Misha served this past year on the executive board as the Northern California Representative and chaired theNorthern California Drive-In Conference, co-chaired the statewide Professional Conference, and was part of thecommittee for the statewide Student Leadership Conference that hosted over 500 student leaders. Beginning inJune, Misha will serve a three-year term in office helping lead the Board of Directors for CCCSAA. This June 2015 at the Washington Convention Center in Seattle, Cañada College STEM Center programs were strongly represented at the 122nd American Society for Engineering Education (ASEE) annual conference. Engineering professors Amelito Enriquez and Nicholas Langhoff were presented the Best Paper Award from the Minorities in Engineering Division for their paper titled Assessing the Impact of Research Experiences on the Success of Underrepresented Community College Engineering Students. The paper highlights Cañada College’s NASA-CIPAIR summer engineering research internship for engineering students. 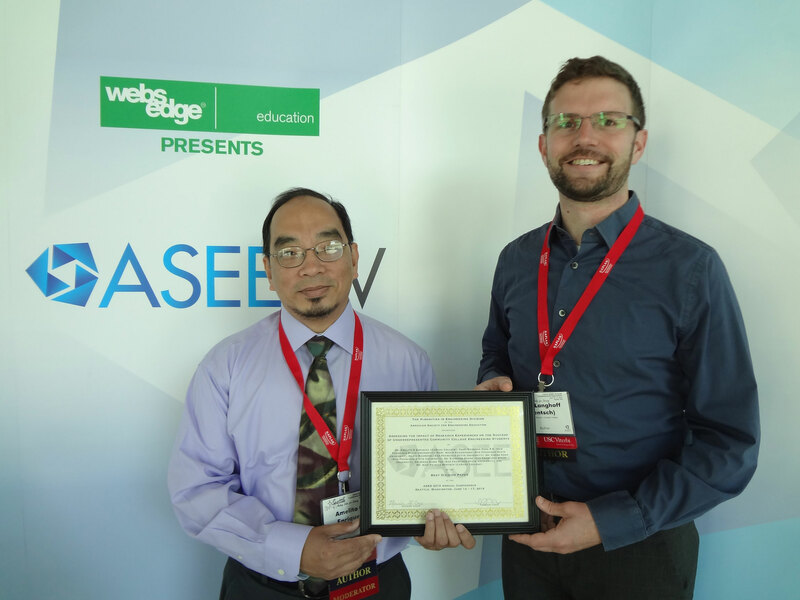 Enriquez and Langhoff were also elected to the Executive Board of the ASEE Two-Year College Division, with Enriquez as the Division Chair and Program Chair for the 2016 ASEE conference, and Langhoff as the Newsletter Editor/Webmaster. Enriquez and Langhoff also presented the latest results of their National Science Foundation funded project on creating an online lower division engineering laboratory curriculum in a poster presentation titled Work In Progress: Creating Alternative Learning Strategies for Transfer Engineering Programs. Many other Cañada College STEM programs were also represented this year at the conference. Math professor Ray Lapuz and professor Langhoff co-presented a paper on the college’s STEM Institute – a summer outreach program to introduce local high school students to STEM careers. STEM Center Project Director Anna Camacho presented a paper on creating the college’s STEM Center. Math professor Denise Hum and Ms. Camacho presented a paper on the college’s Math Jam program, and STEM Center Program Services Coordinator and adjunct physics professor Courtney Hadsell presented a paper on the college’s Physics Jam program. Congratulations to the STEM faculty and staff that presented and represented the success of Cañada College STEM programs at the ASEE 2015 Annual Conference.